Local businesses and schools in Reading worked together over 2 days to create devices that could solve problems the businesses had. Video I made for Reading Town Meal 2017 with interviews and highlights from the organsiers and stall holders. I helped film Enactus Reading’s meeting, who are based at Reading University. My showreel for 2017, which includes Links2leads testimonials, Reading Town Meal 2016 and Enactus Reading to name a few. Highlights from Reading Town Meal 2016 – Interview with organisers and volunteers from the event. It’s been a week since the Reading Half Marathon. 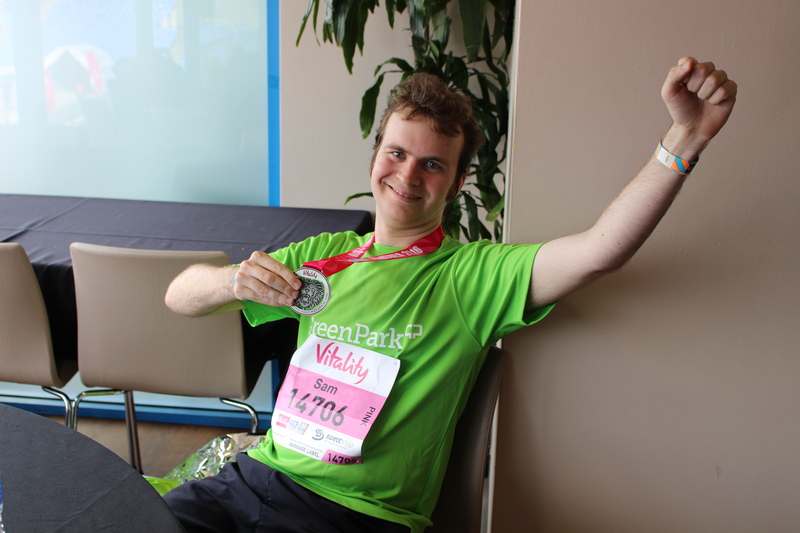 It was my first ever half marathon, which I finished in 2 hours, 17 minutes and 50 seconds! It took me most of the week to recover from it, being the longest distance I’ve ever ran. There were times I wanted to stop and walk some of the way. But I thought to myself it will be quicker if I kept running to the finish line at Madejski Stadium! Running with my friend, Tutu Melaku, made things a little bit easier. Although a few miles before the end I was really feeling it. But having someone else running with you spurring you on, really gives you that extra boost! The ironic thing was that the day before the half marathon, I was looking up other half marathons in different places. Little did I know how tough it was going to be! However now that I’ve recovered I may consider running in different places in the future. Of course the main reason for running the half marathon was for charity. 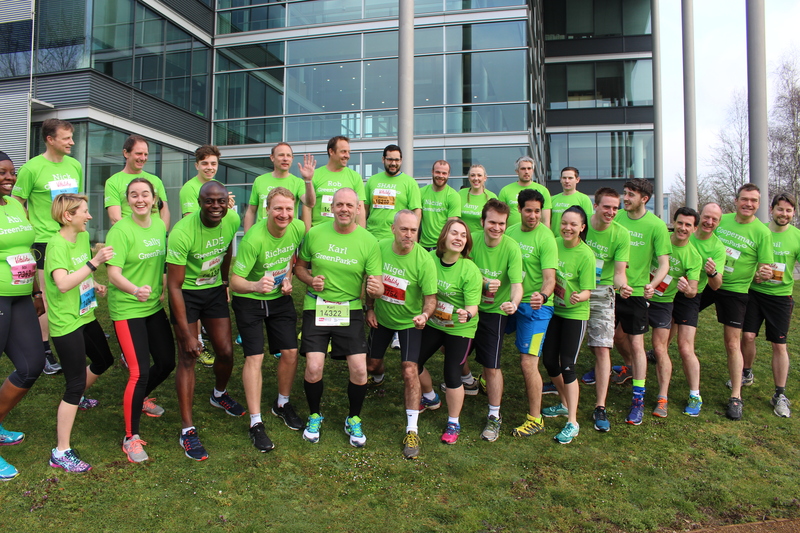 In this case I was part of the Green Park team raising money for the Green Park Foundation. The foundation supports local charities and voluntary groups within a 5 mile radius of Green Park to increase Education, Skills and Employment within local communities. If you’re reading this and thinking whether to make the step up from a 10k or 15k to a half marathon, it’s worth it! I would recommend running with a friend so you can both support each other. When you reach a checkpoint where people are handing out water, make sure to make the most of them. I think I used 3 or 4 of them in the end! The few days after the half marathon, your legs will be aching. I read on the GetReading website (http://bit.ly/1USMs7E) that it’s best to keep walking post race. As moving helps the heart pump fresh blood through your body. Also when you get back home or if you’re staying in a hotel, have a bath for 15 minutes to reduce inflammation. Having a nice relaxing bath was exactly what I needed to help ease the pain! Hello everyone! This is my first blogpost for WordPress, so bear with me! I’ve finished editing Tutu Melaku’s video promoting her Ethiopian sauce and I’ve had great feedback from her!